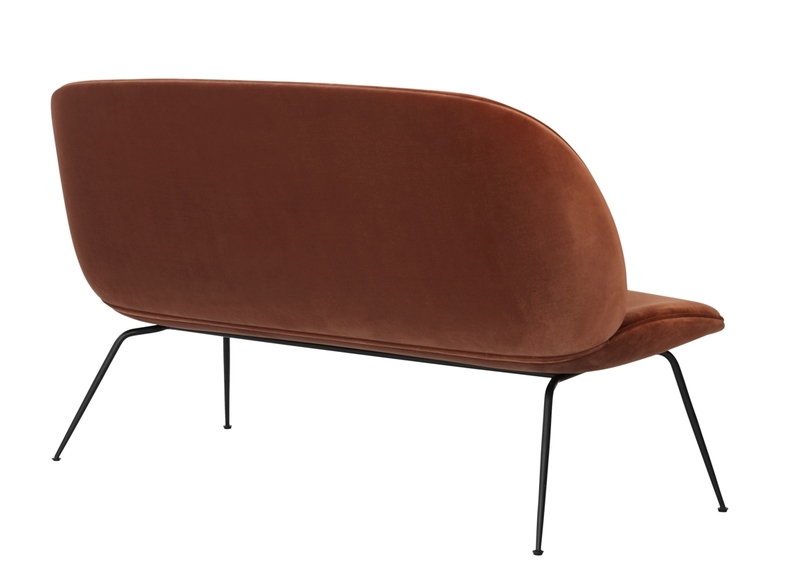 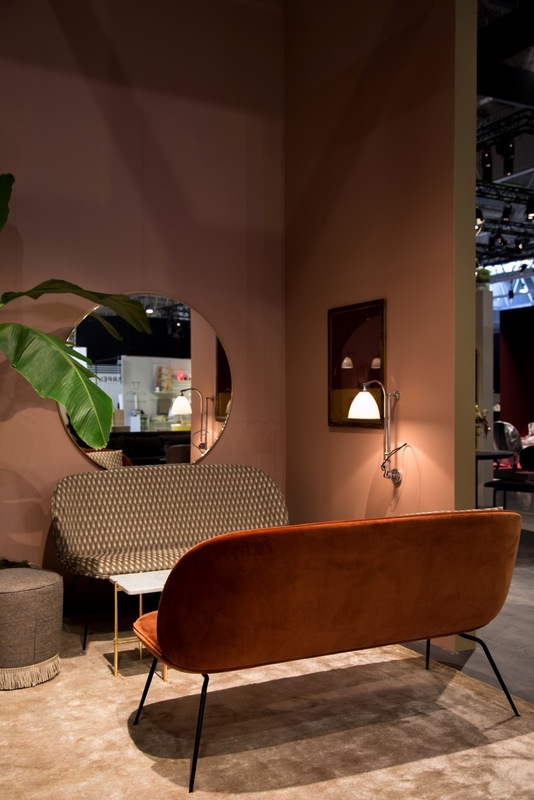 Taking its inspiration from the Beetle Lounge Chair, the elongated Beetle Sofa has a rounded, protective outer shell combined with a soft inside – just like a Beetle. 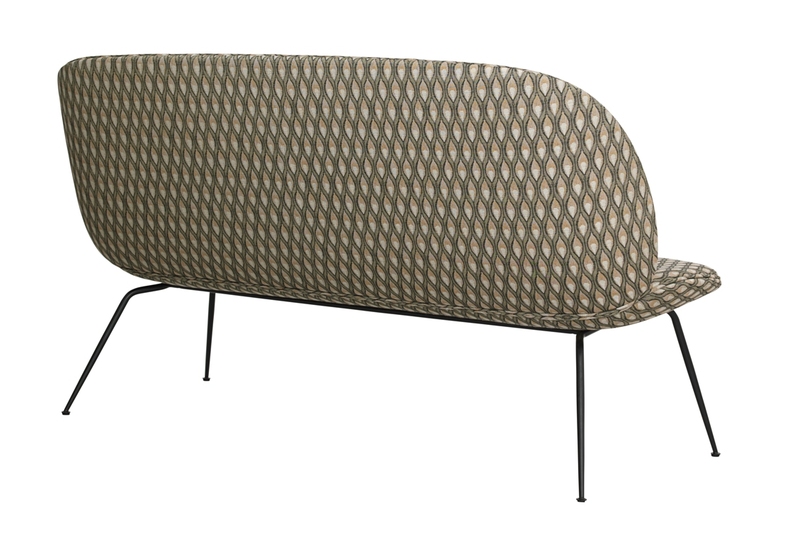 The 2-seater Beetle Sofa plays with the contrast between the enveloping outer shell and a soft, inviting interior which encourage to be seated. 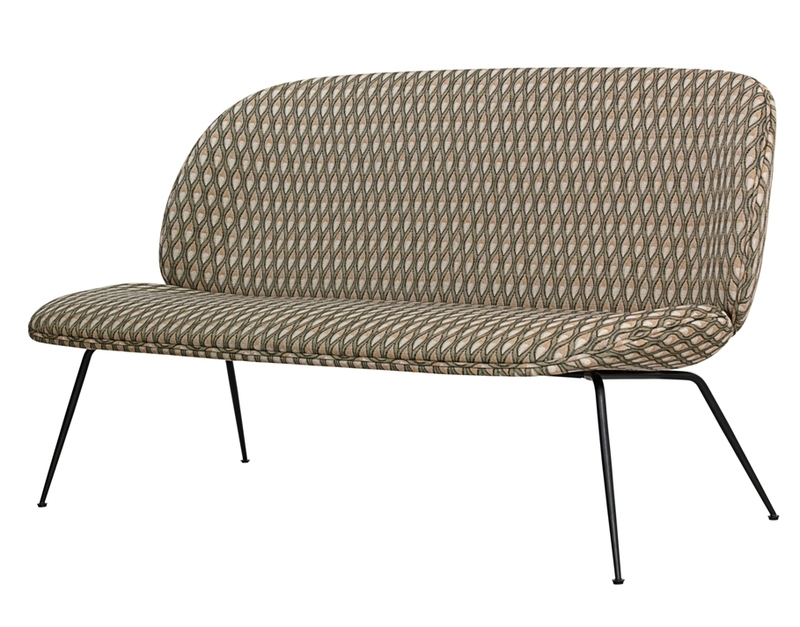 The characteristic look is enhanced by the delicate, slightly conical legs, in either black, brass or blackchrome, giving its light expression. 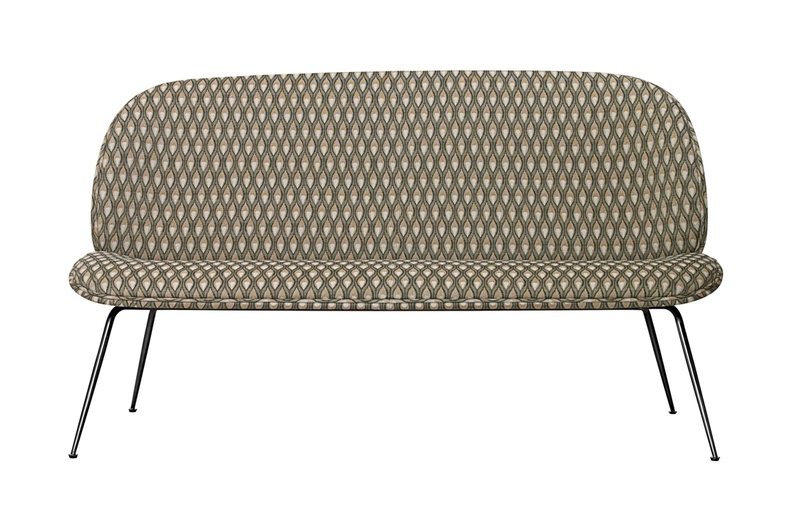 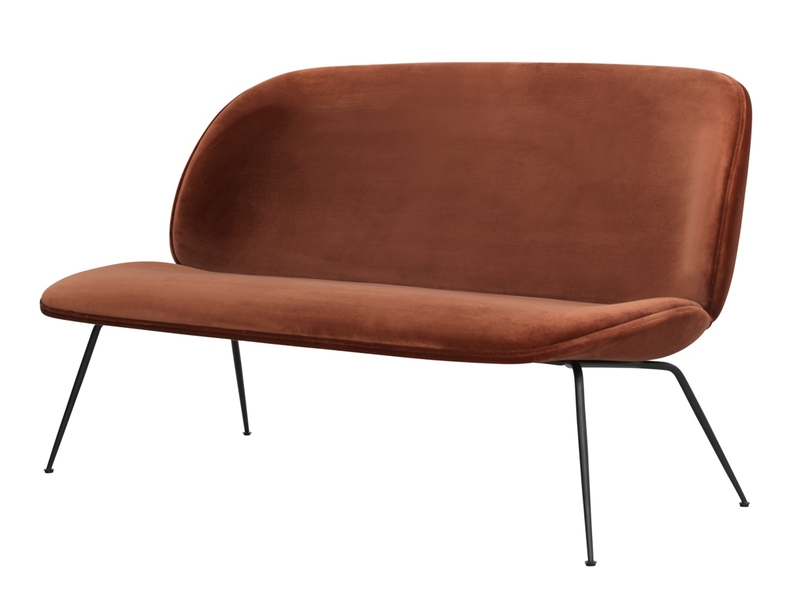 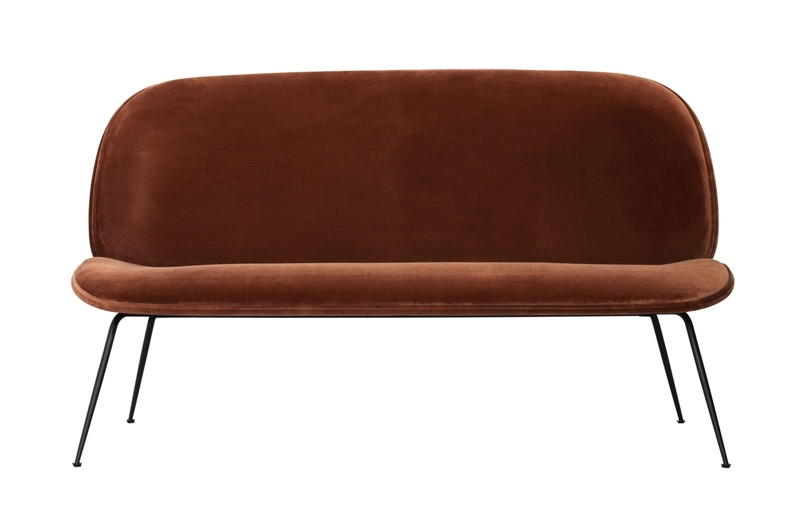 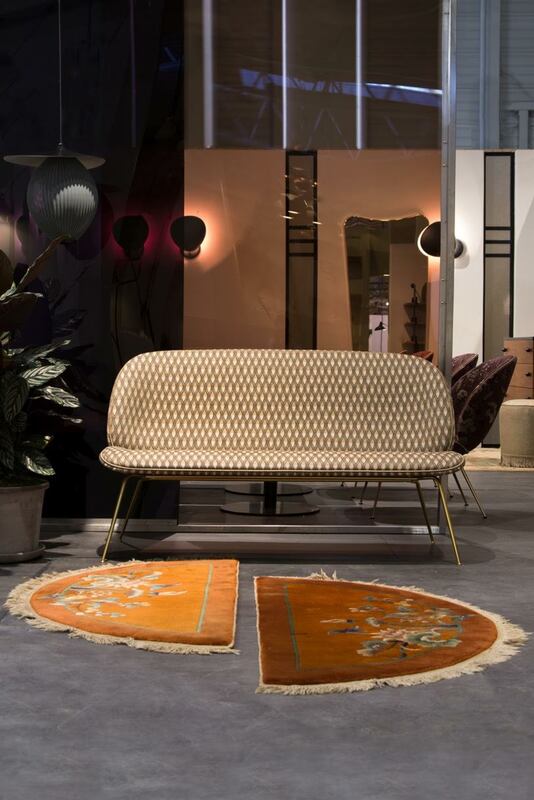 The shell is 14 mm thick and the sofa is always fully upholstered in fabric or leather.